Great pick, Ladies! One of my all-time favorite books. My son, Kyle, teaches 7th grade English. His classes are in the middle of this book right now. I told him that he should beware of parent’s reactions! He says he is ready to do battle for this amazingly polarizing story. It seems like you either really really hate it, or really really love it. I am certainly in the latter group. The whole set makes me think, and be grateful for my many freedoms. 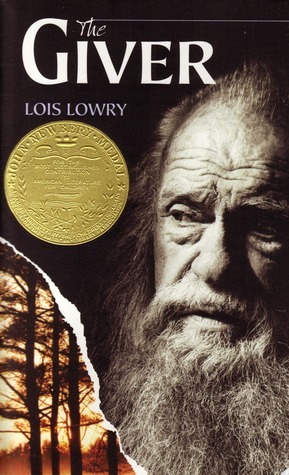 I just finished “Son” and really enjoyed how Lowry tied everything up. Thanks for your blog! You always brighten my day, make me laugh, and cause me to buy books….. That I have yet too read….. But I will! I promise! Thanks! All credit for this choice goes to Sissy this time. Bubby thinks she needs to read it again! We love that you enjoy our blog!